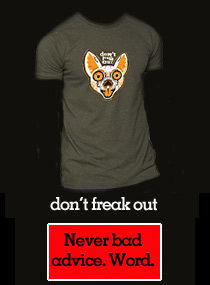 team small dog: Just a few left, don't freak out and snap one up while you can! Just a few left, don't freak out and snap one up while you can! How do you get a shirt like this? $24 big ones, come say hola and pick up from me Cynosport Games or if you see me at the liquor store or whatever for zero shipping and handling. Orders that require shipping, $6 and to continental usa only! VERY LIMITED AMOUNTS! All payments via paypal or cold hard cash slapped in my hand. Shirts are District Young Mens Concert t's. 4.3 ounce soft spun 100% cotton. Black only. Runs sort of smallish, beware if you don't like a little smallish and get a size up maybe. Photo features me in size medium. How do I purchase one of these bad boys. Send me your paypal account and I will transfer some funds to you?! Size large please. 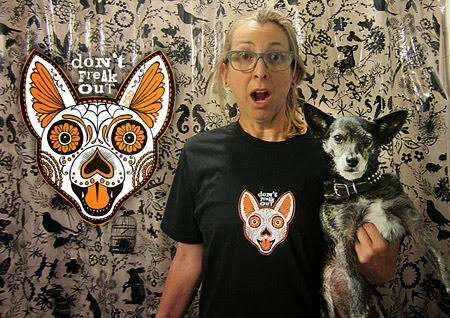 Tammy I heard that there is a shirt fairy around Oregon next week so you will not need to buy one! A shirt fairy? Oh how lucky am I!